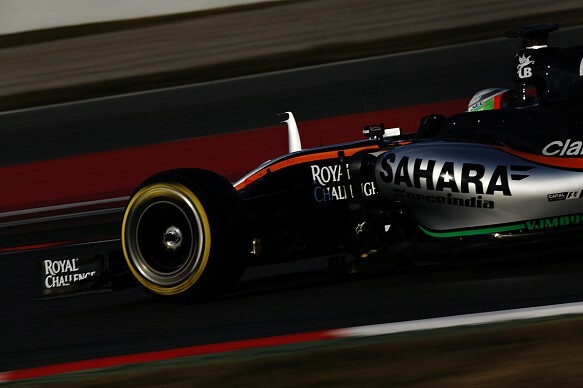 Alfonso Celis Jr is to drive for Force India on both days of next week’s first in-season Formula 1 test in Barcelona. Chief operating officer Otmar Szafnauer concedes Celis needs seat time if he is to make the step up to F1, so has been afforded the opportunity of running for the two days at Circuit de Catalunya on May 17-18. The Mexican, racing with the AVF team in Formula V8 3.5, has already driven the VJM09 on two days of the first pre-season test, and in the first practice sessions in Bahrain and Russia. “He’s a lovely lad who does exactly what he is told, which is good. Not every driver does that!” Szafnauer said. “And he provides good feedback. Szafnauer believes it is too early in Celis’ career to assess his pace, adding: “After the Barcelona test we’ll have a better idea. He did a good job in the winter, I think he was mid-pack at one point. Renault and Williams juniors Esteban Ocon and Alex Lynn will also complete one day of the test each.